NiceUp talks to Rossco, co-founder of the Auckland Ska Festival and guitarist in The AceTones, ahead of this year’s event, Saturday 1 December. 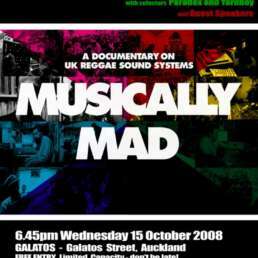 Can you tell us a bit about the history behind the Auckland Ska Festival. When did it begin and how has it developed and evolved? 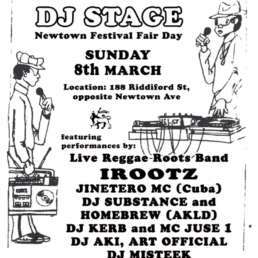 I’d been putting on ska, punk and reggae shows at the Kings Arms in Auckland for many years. At some point we started to set up a second stage at the back of the room and then alternate between stages, meaning we could have 7, 8, 9 or 10 bands play in an evening with zero gaps inbetween bands (sorry DJs). 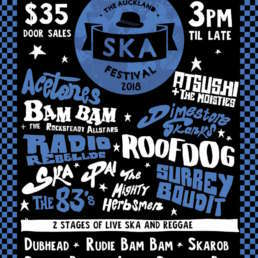 A lot of the bands playing these shows were ska bands, so in December 2013 I decided to team up with bandmate Jacob Toms and create an event – The Auckland Ska Festival. That night was a huge success and enjoyed so thoroughly by all who attended that we knew we had to keep this event going or the punters would hunt us down and demand we put it on. The festival has just got better every year and we are able to pay for a heap of Wellington ska bands and DJs to join us Auckland folk for a blast once a year. We even have a crew from Aussie that fly over and we are stoked to be connecting with those guys. Have you been inspired by or connected with any of the other ska festivals that happen around the globe? I’m definitely aware of a few of the big ones. The London International Ska Festival and The Victoria Ska Fest in Canada have killer line ups of ska legends like Toots, Derrick Morgan and heaps of big names from back in the day who are still going strong. 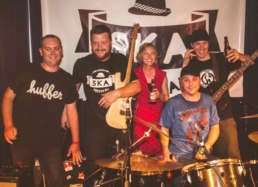 How is the ska scene doing in Auckland? What changes have you seen in the last few years? The scene is made up of a handful of bands and DJs and as you’d expect everybody knows each other. There has been a bit of a move back to the traditional ska styles of the 60s in recent years, with bands like Surrey Boudit gigging plenty and Atsushi Moisty playing a few shows when he’s not touring overseas. So you are in the AceTones. What’s been going on for the band and do you have any projects in the pipeline? Yep I play guitar in AceTones and it’s an absolute pleasure playing with such amazing musicians and great people. We’ve had a pretty sweet 2018, playing the main stage at Splore and some really great shows in Melbourne were a highlight for sure. 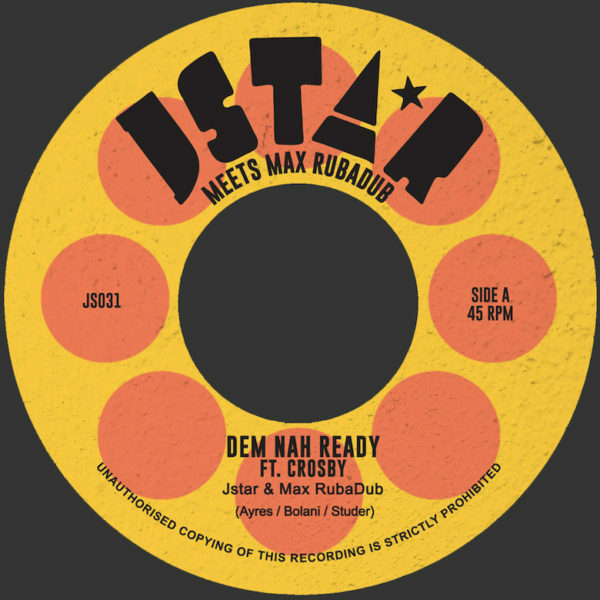 We put out our first 7″ single this year which was something we’ve wanted to do for quite some time. What can people expect from the Ska fest this year? What are your must sees of the festival? This year we’ve made the move to Galatos and will have all 3 bars open so music on all 3 floors. We were at the Kings Arms for the last 5 years and we are still mourning the loss of such a fantastic venue. The show must go on however and we’re exited to be holding the event in such a great new venue. All the bands are great! There’s traditional ska, rocksteady, dub, a bit of reggae and a couple of more punky bands too. I guess if you’re an Aucklander make sure you see all the out of town bands and selectors. See you 1 December at Galatos!